So the “earthy and free” scene hits its peak during summer’s festival season, but we argue that these boho hairstyles are just as appropriate during the fall months as they are in the sweltering heat of summer. There’s just something about the crispy leaves under your feet, the cableknit sweaters and scarves wrapped around your body, and the plums and golds on your face that make you feel at one with Mother Earth. 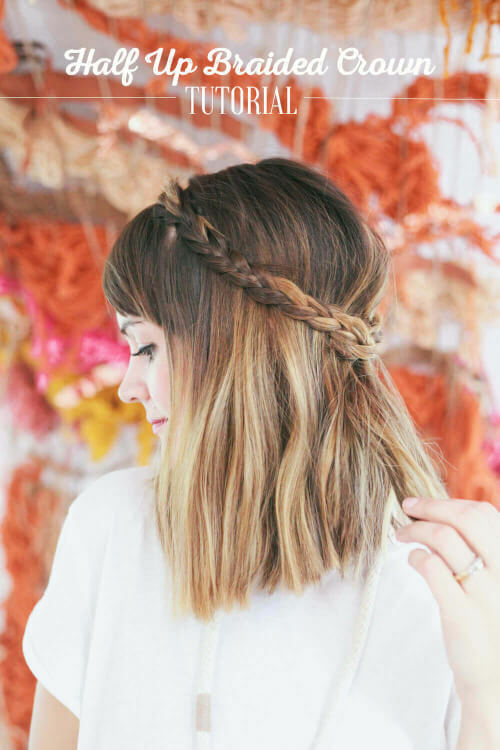 Today we urge you to channel Gaia with the following boho hair tutorials from some of our favorite hair bloggers. Who doesn’t dig a braided crown? This pretty interpretation by Tegan at the Treasures & Travels blog is an easy one for all hair lengths and textures. We’re thinking you could even dress it up with a gold feather accessory or something equally as earthy in order to play up the “one with Earth” vibe. Our friend Emily, the super talented hair goddess who runs the Freckled Fox blog, was recently inspired by Dolce & Gabbana’s runway show, which featured this ultra textured double ponytail. We love the volume and carefree spirit of this everyday ‘do — so perfect for those errand-filled weekends or happy hour get togethers with your work buds. Get the deets on her blog. Here’s another runway inspired ponytail. This tutorial is by YouTube vlogger Amber Fillerup, who takes her cue from Mara Hoffman. Like the Freckled Fox’s ponytail, this one incorporates a lot of texture and volume. Instead of being high and free-flowing, though, it’s placed at the nape and has a little more structure. What’s up, Curly Sue? 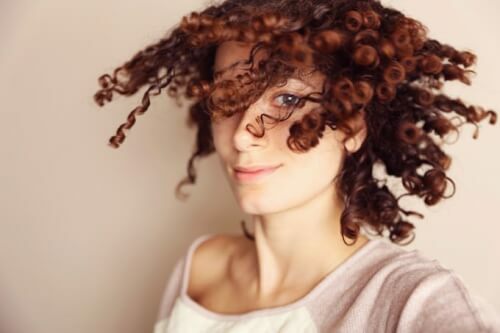 This curly hair tutorial by Hortencia Caires at the Style Feen blog is one of the better ones we’ve come across in recent months. She details her hair regimen and teaches all you curly haired ladies how to embrace and enhance your hair’s natural texture. The results? So, so pretty. 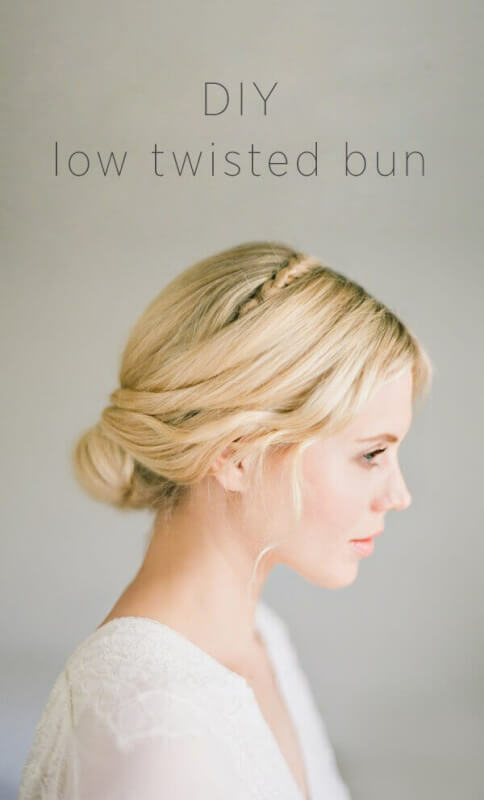 OnceWed always knocks it out of the park with their hair tutorials, and this DIY Low Twisted Bun is no exception. It’s one of the more “polished” looks in today’s curated post, as you’d expect for a wedding blog, but it still has that casual chic vibe to it that we can’t help but swoon over. There are lots of little things happening with this hairstyle that really push it into gorgeous territory, so check it out. YouTube vlogger Marianna Hewitt is the queen of effortless waves and today she’s filling you in on her “perfect hair” secrets. We love this style for everyday events and tasks. With a sparkly gem or other accessories, you could even transform it into something fancier for more formal events.